Hailing from Wisconsin I have always thought of Miller beers (Miller Genuine Draft, Miller High Life, and Miller Lite) as my macro beers. Throughout the state these were the beers that held sway at taverns, sporting events, and in the minds of the average beer drinker. In the larger scale of things this is not the case. 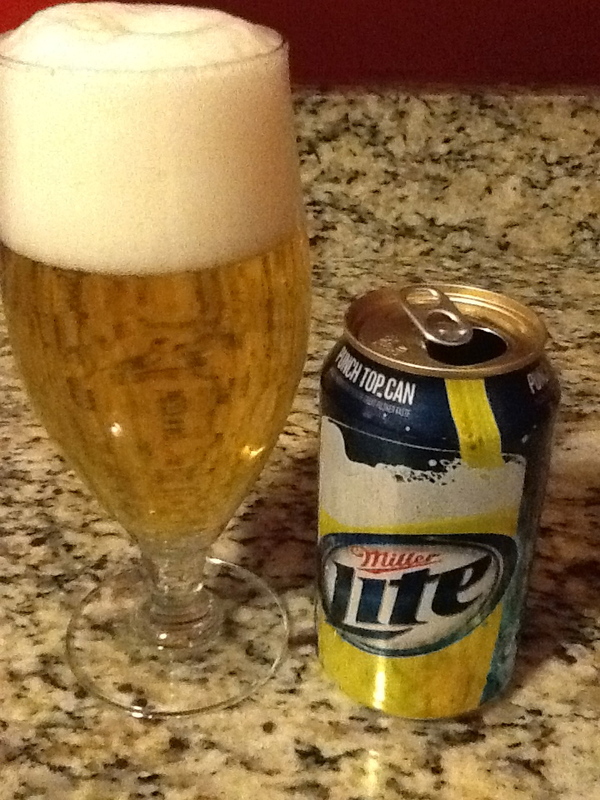 Miller has always run a distant second to Budweiser in the macro beer scene. While Anheuser-Busch controls 47% of the beer market in the United States, Miller only has 29%. (Coors is a distant third. Even in the macro brewing world there is disparity. More on this later.) On a side note one of the reasons this entry didn't happen while I was in Florida a few weeks ago was that I couldn't find a six pack of Miller Genuine Draft for the review. I admit that I was slightly shocked that it wasn't readily available even though I wasn't looking too hard. Founded in Milwaukee, Wisconsin in 1855 by immigrant Friedrich Müller of Germany, Miller Brewing became a Wisconsin institution and well known throughout the upper midwest. It survived Prohibition and when it was purchased by Philip Morris in 1966 it rose to the number the number two brewery in the United States…and that is where it has stayed. Even upon purchase by South African Breweries (SAB) in 2002 to form SABMiller it has never quite been able to crack the stranglehold that Anheuser-Busch has held on the American beer market. For one shining moment though, Miller Brewing was ascendent, in 1975 they released Miller Lite and it took the American beer world by storm. Miller wasn't the first to make a light beer that we would recognize, that would be Coors actually in the 1940s which was a splash in the pan before it was discontinued at the beginning of World War II. Miller did recognize the opportunity light beer presented and wholeheartedly capitalized on it by reworking the recently purchased Meister Brau Lite into the first nationally available light beer now known as Miller Lite. An aggressive marketing campaign centered around a catchy slogan "Tastes great, less filling" made the beer take off. Anheuser-Busch wasn't even entertaining a light beer at the time, not wanting to dilute the King of Beers brand. (No pun intended) Once they got in the game though in 1982, Miller Lite's days were numbered and by the late 90s Bud Light had grabbed the top spot and has held on to it ever since. Miller Lite now wrestles for third place with Budweiser having recently been overtaken by Coors Light. Interestingly enough I made the assumption that the two top selling brews out of Miller would be Miller Lite and Miller Genuine Draft, but it turns out I was wrong. The other is Miller High Life, so rest assured, there will be an update to this when I grab a High Life and look at that also. Let's dive in first with Miller Genuine Draft. Here is a beer that is in desperate times and has tanked over the last seven years, losing at least 51% of its sales. Interestingly enough it is the same recipe as Miller High Life, but it goes through a different finishing process. It pours a clear light straw gold color with a small with head that fades away quickly, but not as quickly as the others we have looked at. It has a flash of light hop taste on the drink that quickly turns into sweet, flat, beery taste. It ends with a slightly off light bitter sweetness. It has more character than Budweiser, but not as much as the Coors Original. This is not a beer that will leave any impression. It tastes of mediocrity, content to be the underwhelming child in the Miller beer family. It comes in at 4.66% ABV. The second beer in the Miller stable is their best performer, Miller Lite. I drank more than my fair share of this in college and my National Guard days. It poured almost the exact same shade as the MGD, with a white foamy head that stuck around for awhile (I poured it hard out of the can.) On the drink there is really nothing to it. It has very little both in body and taste and what is there is uneventful. It does have a lot of carbonation to it with a slightly sweet, very flat beery taste. The funny thing is that I expected more…more of what I can't say but I guess I hoped to find a worthwhile contender here from my home state to fight in the heavyweight division. Call it homerism or hometown pride. What I have found though is why this beer is continually passed over. It doesn't really do anything at all to differentiate. It just mocks up as just another knockoff of what is already poor beer. It comes in at 4.17% ABV. Specially brewed from the finest malted barley, select cereal grains and choicest hops, Miller Lite delivers superior taste in a less-filling beer. If fact, Miller Lite won Best American-Style Lager or Light Lager at the 2010 Great American Beer Festival. Today, Miller Lite continues its commitment to great taste and innovation. Every Miller Lite is Triple Hops Brewed® to create flavor, develop balance and lock-in taste. And innovative packaging like the Vortex Bottle, Aluminum Pint and Home Draft, ensure that every ounce of Miller Lite tastes as great as the last. It is the "Champagne of Beers" and it sprung into existence in 1903. It is the oldest continuous brand in the Miller family and surprisingly to me, and probably to Miller Brewing, their current second best selling beer behind Miller Lite. 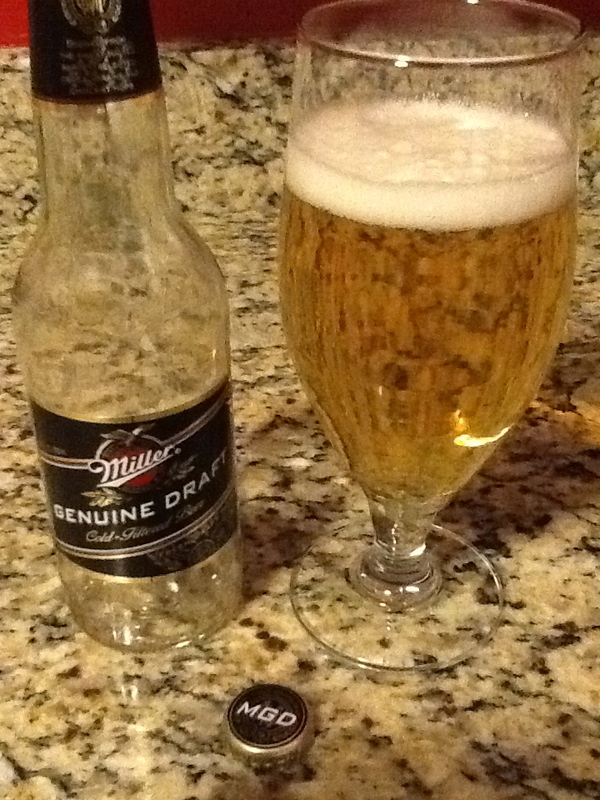 Like its fraternal twin Miller Genuine Draft it has a similar look and appearance though it unlike the cold filtration that MGD goes through the High Life is finished off by pasteurization. That actually makes a difference in the beer. The beer poured a clear light straw gold color, almost yellowish. It had a foamy head that actually stuck around for while with a continuous stream of carbonation flowing up from the bottom of the glass. (Hence the Champagne of Beers slogan). 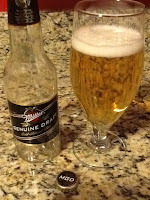 It has a similar sweetness to MGD, and a very mild hoppiness, giving way to that beery taste. The saving grace for this beer is the effervescence which actually keeps the beer light on the tongue and prevents the flatness that bottoms out MGD. There is a mild flatness that finally emerges in the aftertaste but it doesn't linger for long. It comes in at 5% ABV. Miller High Life holds a special place in my heart. This is the beer that my brother and I will drink copious amounts off when we hang out together which is an all too infrequent event these days. The High Life is not a good beer, but it is drinkable and it has fueled some fun memories for me.